Vicky Marie Hernandez obituary. Carnes Funeral Home. Vicky, 51, passed away peacefully from the arms of her loving husband of thirty-two years and into the arms of our Lord and Savior Jesus Christ on July 8th, 2014, at her residence in Dickinson, Texas. Vicky, born in Amherst, Ohio, on October 25th, 1962, was a Registered Nurse for Shriners Hospitals for Children in Galveston, Texas. She enjoyed spending time with her family and friends, playing with her dog Jade, riding her motorcycle, enhancing her truck, as well as going on local gambling trips with her husband. 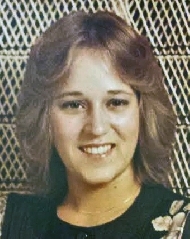 She is preceded in death by her parents, Richard and Beverly Somogyi. She is survived by her husband Santos Hernandez, daughter Monica Hutson, step-son Kenneth Hernandez, step-daughter Vanessa Hernandez, grandsons Christian Paez-Hernandez, Jayden Howard, Kayden Hernandez, Cash Hutson, granddaughter Autumn Hernandez, brothers Richard Somogyi and Jeff Somogyi, sisters Ellen Somogyi and Nancy Somogyi. Pallbearers are Kenneth Hernandez, Jarod , Paul and Dustin Hutson, Richard Hiller and Dustin Crumby. Vicky was the recipient of a kidney transplant approximately ten years ago . Through this she was given new life and was able to live it to the fullest. Vicky was able to witness the births and interact in early lives of her five grandchildren, including taking them to the rodeo, County Fairs, Monster Jam, and Nuclear Cowboys. Very few weekends were spent in the absence of grandchildren, filling their house with love and laughter. Vicky accepted the Lord Jesus Christ, we find peace and comfort in the knowledge that she is safe with the Lord. In lieu of normal remembrances, friends who wish to make memorial gifts, please send to: Shriners Hospitals for Children in Galveston, Texas, 77550.